Rings can be worn for pretty much any occasion. Diamond ring is always classic and everlasting fashion statement. 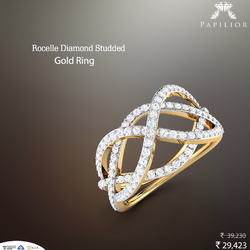 Buy a uniquely designed diamond rings, take time to go through the different varieties such as the flower shape, heart, and light weight diamond rings or eternity diamond rings available at Papilior. In-house designers who can give a perfect shape to your thought of women and men’s diamond ring.